C C hicago is a glorious cosmopolitan city bustling with excitement at all hours of the day (and no, not all of these hours involve stuffing sausage into our faces). So look up from your ever-expanding pile of Italian beef for one second and check out our finely curated list of the coolest thing to do during every hour of the day. Because with Chicago summer quickly on its way out, you’re gonna need to make every hour count. If you do manage to go 24 hours straight, hitting landmarks and hidden gems, it might look a bit like this. 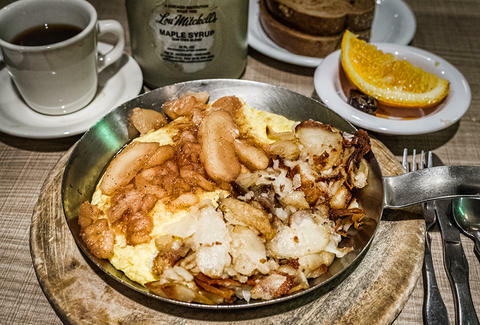 Old-school diners abound in Chicago, but few are more Chicago than Lakeview’s Diner Grill, which has been slinging deliciously booze-soaking eats out of a former rail car since 1937. Order the chili-covered mass of heart-stopping food known as The Slinger and earn a certificate that commemorates you living to tell about it. If you’ve never started your morning with an hour of yoga followed by a crazy 2-hour dance party with live bands and EDM music, you’ve obviously never been to Daybreaker. Which, if you did, is clearly something you’d never forget. Some people wake and bake with a certain green plant now legal in places like Colorado. Others grab a signature Wake & Bake espresso at Star Lounge, where just stepping inside the joint raises your coolness profile by at least a factor of two. Guaranteed. 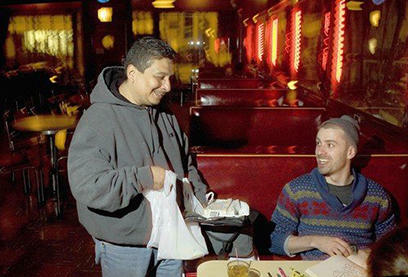 Downtown’s iconic Lou Mitchell’s has been doing its thing since 1923, which means they must be doing something right. Like handing out free donut holes and Milk Duds -- two oft-overlooked items which greatly enhance any breakfast experience. If you need to get to work on time, get off the Eisenhower and go underground to explore the city’s vast network of little-known underground tunnels that connect various downtown buildings. These are known as shortcuts to locals, provided you know where the hell you’re going. Don’t own your own yacht? Not a problem. 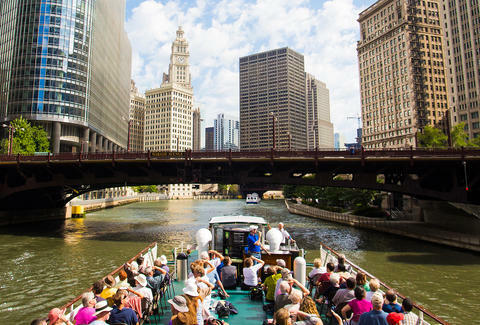 Chicago is awash with cool boat tours that don’t involve photo-snapping tourists and boring facts. Like Island Party Boat for example, which is basically spring break on the Chicago River. Is it too early to start drinking? 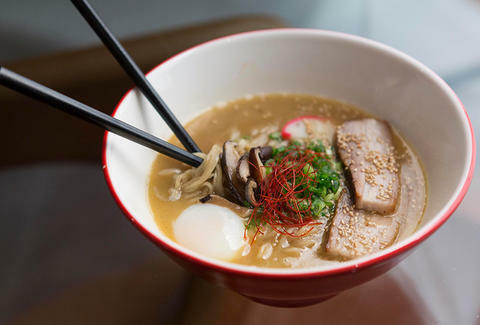 Not at Wicker Park’s Furious Spoon, where you can pair your ramen with $1 Hamm’s. Ramen and Hamm’s, now a thing. Think all local drive-ins have gone the way of the dodo? Not so at Chicago institution Superdawg, still slinging classic Chicago dogs in their trademark cardboard boxes. Like god (or Ditka) intended. The newly renovated Chicago Athletic Association has pretty much everything you need to win at life: including a killer rooftop restaurant/lounge, a Shake Shack, an uber-swank cocktail lounge, and a game room outfitted with all your parlor games needs. 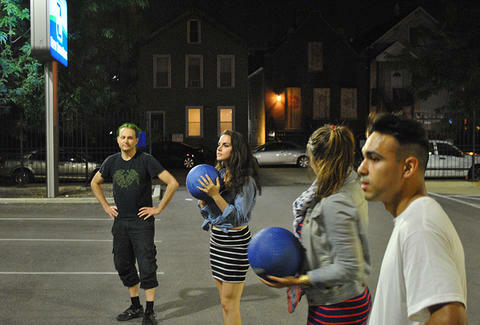 Including, of course, bocce, the old man sport of kings. 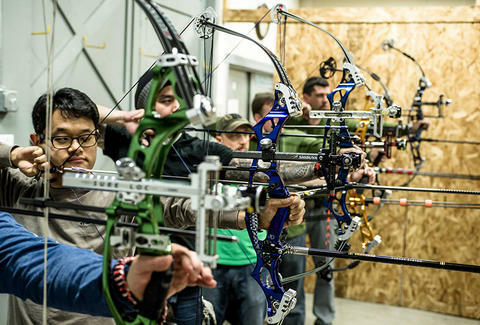 Humboldt Park’s Archery Bow Range is one of the greatest little-known things to do on the West Side. And it makes a pretty cool first date as well. Summer in Chicago is too short to spend shoulder to shoulder at North Avenue Beach. Instead, hit up downtown’s more laid-back Ohio Street Beach and pay a visit to its wonderful beach bar, Caffe Oliva. Bonus: The equally overlooked downtown gem known as Milton Lee Olive Park is also just steps away. Soak up the last rays of Chicago sun the best way possible: over the back patio ping pong table at Parson’s, where pong is rightly paired with game-day essentials such as fried chicken and Negroni Slushies. Tower Records may have gone belly up years ago, but local tastemaker Reckless is alive and thriving thanks to its peerless combo of indie cool and obscure vinyl that will have you reliving High Fidelity for the modern age. For extra hipster cred, head over to Empty Bottle at 5:30 on Fridays to catch a free live set from The Hoyle Brothers. Why is everyone in such a hurry walking home from the El? When you’re sitting on the outdoor patio watching the sun go down over drinks and tacos at Wicker Park’s Big Star, this suddenly becomes very difficult to comprehend. Cutting into an expertly cooked steak at downtown’s upscale III Forks is always a hard-to-beat way to spend an evening. Throw in their beautiful outdoor patio and you’ve got a can’t-miss dining experience on your hands. 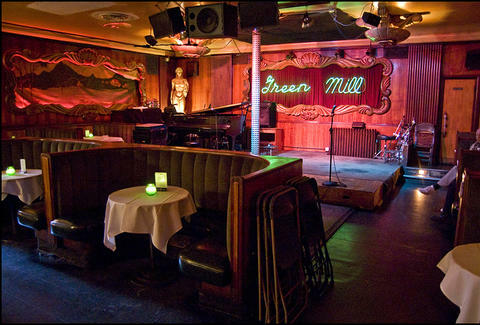 The long-running Uptown Poetry Slam goes down Sunday nights at Uptown’s iconic Green Mill, a.k.a. Al Capone’s former favorite bar where he once ordered a guy’s tongue to be cut out (seriously.) Sure beats premium cable night on HBO. The clown car known as Parlour Car pulls into town every Thursday at 9 pm in the back of Ukrainian Village’s criminally underrated Bar DeVille. And while we love Second City and all, this luminary standup show won’t sandwich you at a table between a pair of tourists. Not only is Violet Hour one of Chicago’s finest speakeasies and one of the top cocktail bars in the country, it’s also probably the only place you’ve been to that involves an entryway hidden inside a mural. In case you didn’t get enough dodgeball in high school (or the movie Dodgeball), now you can join a secret society of dodgeball freaks who throw down every Thursday at 11 at various undisclosed locations around the city. And yes, it quite possibly might involve beer. What’s the most ridiculous way to spend the midnight hour? The list is endless, but right up there has to be a 60-minute performance of A Batman Burlesque at Bucktown’s underground Gorilla Tango Theatre. You’ll never see The Penguin the same way. By now you’re starting to get a little hungry. But do you dare leave the bar? That would be a rookie mistake. Instead, keep your eyes peeled for The Tamale Guy, soon to bust into a neighborhood bar near you with a cooler packed with fresh homemade tamales. Or track him on Twitter. Now that most of the more respectable bars have closed, it’s time to move on to the next level of evening entertainment -- the 4am bar. And if you feel the uncontrollable urge to sing karaoke until such time, Alice’s Lounge is calling your name. Hard. No, we don’t mean literally. We mean paying a visit to late-night South Side institution Johnny O’s to indulge in the glorious Mother-In-Law, a bucket list-worthy creation served on a hot dog bun that swaps the wiener out for a tamale and covers it in chili -- creating a tasty, messy Frankensandwich that has to be experienced to be believed. Preferably at 3 am. 4 am bars are for amateurs. True Chicagoans take full advantage of the extra hour afforded to them on Saturday nights to close down a handful of select 5 am bars like legendary Old Town establishment Old Town Ale House. Bonus: scantily- or un-clad paintings of famous politicians on the walls, painted by none other than the bar owner himself. Jay Gentile is a Thrillist contributor and he considers all happy hours that aren’t ramen happy hours to be epic failures. Follow @innerviewmag.